Most social networks, with the exception of a few niche ones, are free. For the company this makes sense. Network effects dictate that more people using the service makes it more attractive to other users, who may know them. Facebook, which has around 1.5 billion monthly active users, is the prime example of this. It's more than likely that almost everyone you know has a Facebook account. However, for the user this free service makes less sense because the product is, well, them. Facebook makes almost all of its revenue from advertising, which is placed in the News Feeds of every single user. The feed, introduced in 2006, uses algorithms to determine what, exactly, each user sees based on assumptions about their interests (based on the things they have interacted with before) and some user-entered information. Twitter, which has around 320 million users worldwide, places advertising units—most of which look like tweets—into its Timeline and on user's pages (and, sometimes, below expanded tweets). Unlike Facebook, Twitter has stuck to its reverse chronological, firehose-style feed since its inception but in recent months that has changed. The reason for this change was because Twitter's growth has stalled. According to many accounts, Twitter is a confusing labyrinth for new users, many of whom were used to Facebook's style of simply presenting content based on a few likes, not hundreds of calculated, carefully selected follows. The content on Twitter's new Timeline is still based on who you follow, but has been opened up to include tweets that other users have “liked,” among other factors. This change is sad and links in well with another piece of news: Instagram is also abandoning its reverse chronological timeline. Like Twitter, the main feed on Instagram is filled with images and videos from the people you follow, presented in order of when they happen. Going forward, they will be ordered with a News Feed-style algorithm. These feeds, which are presented to around two billion users, are controlled by two companies—Facebook, which always own Instagram, and Twitter—and the end users have very little control over what they see or why they see it. In mid-2014, Facebook made the details of a study available in which it promoted “sad” stories—i.e. ones that would make the user feel negatively emotional—into the News Feed. From here, the company tested how users reacted. 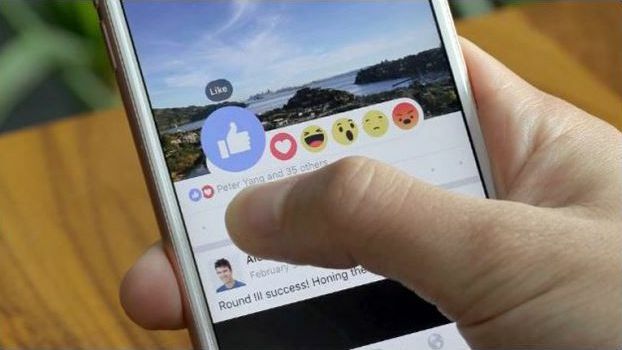 While this study is interesting, it also displays the scary side of how much influence Facebook has: It could affect the mood of 1.4 billion people around the world at the touch of a button. The study was roundly condemned and reminded the world that, while algorithmic feeds present relevant content, they can be manipulated by a company which, by and large, has no obligation to users at all. Google has been doing this for years in a different prism—search—and has been hounded by the press and regulatory authorities for putting some results, usually the ones companies pay for, above others. While Google is an entirely different company to Facebook and Twitter, it serves as a warning to people. The other concerning detail is that Facebook, for many people, is literally “the Internet.” It's where they start browsing and it's where they end browsing. This, for some, is concerning. Facebook's “Free Basics” programme, which sought to bring a basic version of the Internet to India for free, was struck down by the government. While this case has many factors at play, it's safe to assume the primary reason was because India didn't trust Facebook—a company—to be “the Internet” for users and to decide that, exactly, they could see. So, when you're next scrolling your timeline or News Feed, just remember that everything you see has been decided by a computer over which no one has control besides Facebook or Twitter.